As part of a larger health trend that's driven by Millennials, no-alchohol and low-alcohol spirits are growing. 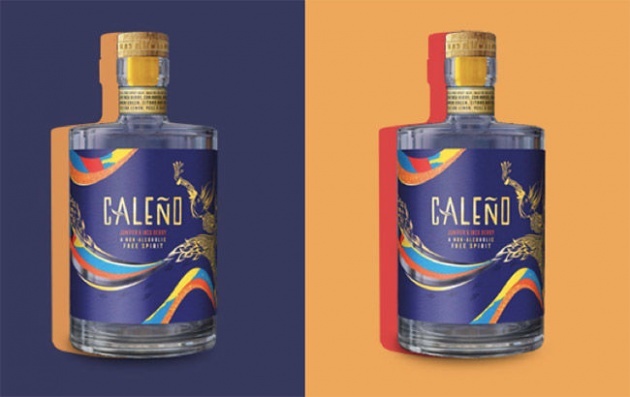 One example is Caleño, made with botanicals including juniper, coriander, cardamom green, citrus, spices and Sicilian lemon peel, which have been steam-distilled in stainless steel drums. It is recommended served with tonic water and garnished with an inca berry. Founder Webb said: “I’ve cut down my drinking massively over the years as I want to live more of a healthier/ balanced lifestyle. “Caleño’s audience is therefore 18-30-year-olds, who want to make the most of their lives, but don’t want the hangover to go with it.” Caleño is the latest alcohol-free brand to join the fast-growing category, a movement that was spearheaded by non-alcoholic distilled ‘spirit’ Seedlip. Last month, Seedlip unveiled the “world’s first” non-alcoholic aperitif range, which is set to launch this year. Funkin founder Alex Carlton also moved into the non-alcoholic ‘spirits’ sector with the launch of Stryyk Not Rum, Stryyk Not Gin and Stryyk Not Vodka last year. Meanwhile, Pernod Ricard helped bring non-alcoholic ‘spirit’ Ceder’s to market in the UK.